Firstly, I extend a warm welcome to you all - from across the pond here in Belize. 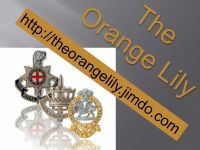 I hope you enjoy looking through the site, with its hundreds of catalogued photographs covering over 50 years of Regimental life. There are many different boards to view, from message to contact details, to fallen friends to joke boards to name just a few of the boards available for you to browse. Go in and enjoy exploring them all. The aim of my site is to provide a useful meeting place that is both informative and amusing for people with an interest in The 1st Bn. Royal Sussex Regiment/The 3rd Bn. The Queens Regiment. We are not competing with any Regimental Associations or other organizations. Users can expect to find both reasoned argument and discussions peppered with military type banter and humour. We especially welcome new members, all I ask is, when you make your ‘maiden post,’ please explain a little about yourself for example, your name, the unit and dates you served and so on. Should you have any photographs relating to the Regiment then please e-mail them to Bob Jones . I will size and text them before I then upload them into the correct library. Although we have no issues with challenging the "official" viewpoint we do not wish to bring the wrath of the authorities down upon the site. We wish to avoid attracting those with extremist views or personal agendas to the site - for they are not welcome on this site. Any visitor or member who feels that a posted message is objectionable or another user is behaving inappropriately is encouraged to contact us immediately by email at Web master We have the ability to remove or edit objectionable messages and we will make every effort to do so, within a reasonable time frame, if we determine that removal is necessary. This is a manual process, however, so please realize that we may not be able to remove or edit particular messages immediately. Any minor spats that can occasionally occur in any family unit, it’s better to reconcile these by personal E-mail and/or Skype, rather than continue to prosecute your case, verbatim on the notice board. There are very few rules that are set in stone, just common sense and a respect for all visitors and members alike is all that’s needed. 1. You agree, through your use of the site, that you will not use it to post any material which is knowingly false and/or defamatory, inaccurate, vulgar, hateful, harassing, obscene, profane, threatening, invasive of a person's privacy, or otherwise vocative of any law. If you cannot type something nice about a topic, chances are, it probably isn’t worth posting it in the first place. The Queen's Regiment name and Badge are Copyright of the MoD and may not be used or reproduced without permission. We act and have acted, as communicator for ex-members in cases to do with : Benefits, Claims, Pensions, Benevolence, Finding lost “brothers in arms”, Reuniting families and friends, Finding war graves, Answering historical questions, Answering queries on badges, crest or colours, we run Regimental quizzes, write articles for various outlets. liaise closely with The Regimental Museum, Regimental Archives and the Regimental Association. We see ourselves as an allied and communicative extension of the Royal Sussex Regimental Association.